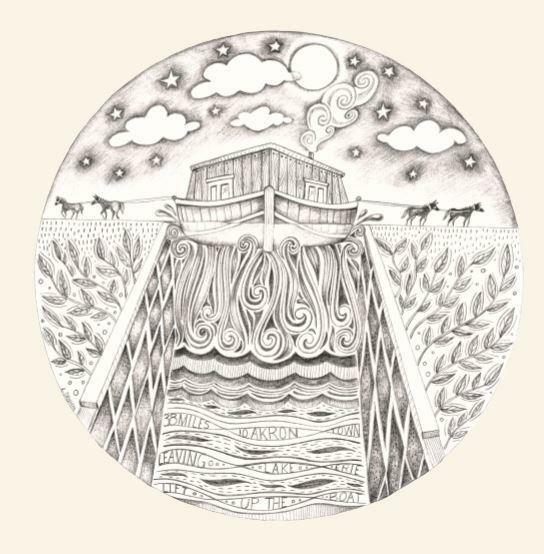 Laurie Caner of Hey Mavis and artist Leandra Drumm created "Silver Ribbon Dream"
Drumm's illustration of Caner's song "30 Cents"
Leandra Drumm's illustration of Caner's song "Lift Up The Boat"
A new music and art collaboration brings to life the history of the Ohio and Erie Canal. 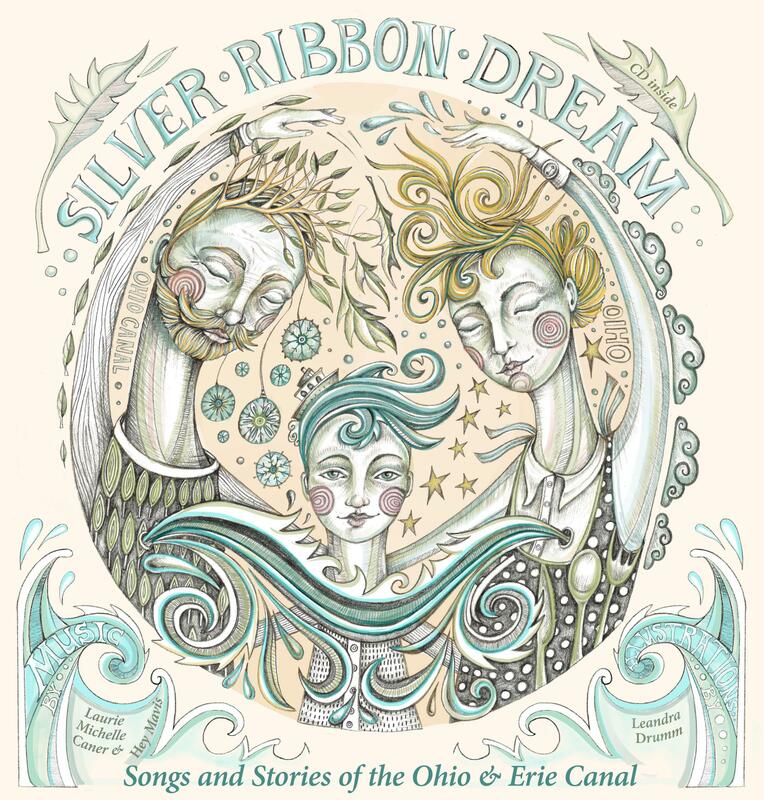 Laurie Caner of folk band Hey Mavis and Akron artist Leandra Drumm have just finished their CD and book project, Silver Ribbon Dream. Caner became inspired to learn about the canal while Hey Mavis were artists-in-residence at the Cuyahoga Valley National Park about a decade ago. The band includes her husband, Ed. They lived in the park with their children. 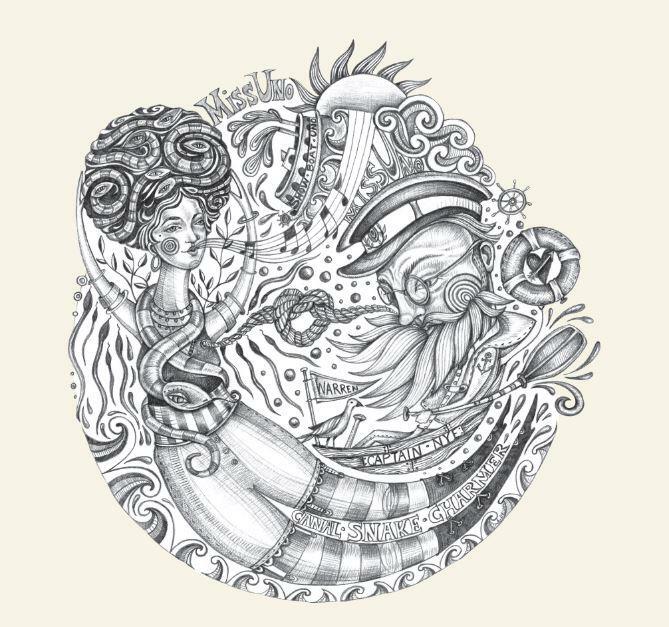 Two years ago, she was awarded funding through the Knight Arts Challenge to create the album of original songs about the canal, accompanied by illustrations. She reached out to her friend, Leandra Drumm to make the book. The opening track "30 cents" captures the struggle of living and working on the 309-mile canal in the 1820s. "There was a lot of hardship and illness and most of the canal was dug by hand by Irish immigrants paid 30 cents a day," Caner said. 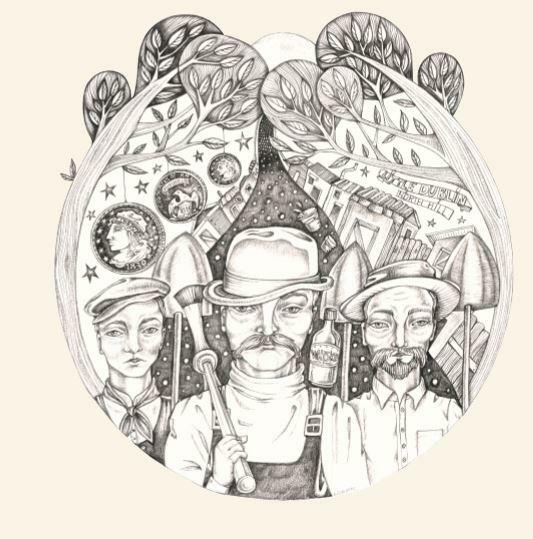 The drawing that corresponds with the song depicts three tired and worn canal workers surrounded by items including shovels, a bottle of whiskey and coins. "I liked to read the history that Laurie would provide with each song and then read the song a few times and listen to the music to get a visual of what she's trying to convey in the song and the history," Drumm said. During her research, Caner learned about the man who would become the central character of the album -- Captain Pearl Nye. He was the fifteenth of 21 children all born and raised on a canal boat. "He had such a deep love for the canal even after it closed down and wasn't being used anymore," Caner said. "He ended up using an old canal boat on the side of the canal and using it as his home. He called it Camp Charming." Nye wrote dozens of songs and manuscripts about the canal after it closed in 1913, and Caner used an excerpt of one of his recordings for her song, "Dearest Place." "That song I think took me the longest to write out of all of them. I just felt this great responsiblity to try to communicate [his love for the canal]." Another song on the album is about a woman named "Miss Uno." "She was a snake charmer who had her own canal boat," Caner said. "She had cages of all these trained snakes. So she would release them into the woods and walk down the towpath with her mouth harp harmonica and all of the snakes would come out of the woods and come to her." Drumm's illustration of Caner's song "Miss Uno"
Drumm said Miss Uno was fun to illustrate. "The wool-striped stockings and the pantaloons and the wild, moss hair is just a character I could imagine existing in today's world." Caner said the title track of the album, "Silver Ribbon Dream," was what Captain Pearl Nye lovingly called the canal. "He said there's a little silver ribbon that runs across the Buckeye State. I didn't want the whole project to be all doom and gloom. I also wanted to capture the other side that it was just this really beautiful thing, too." Drumm said, "I sort of feel like this was kinship or parallel between Laurie and Captain Nye as they went through the experience of writing songs about the canal. It's just a wonderful opporunity to explore our canal history." You can pre-order the CD and book here. 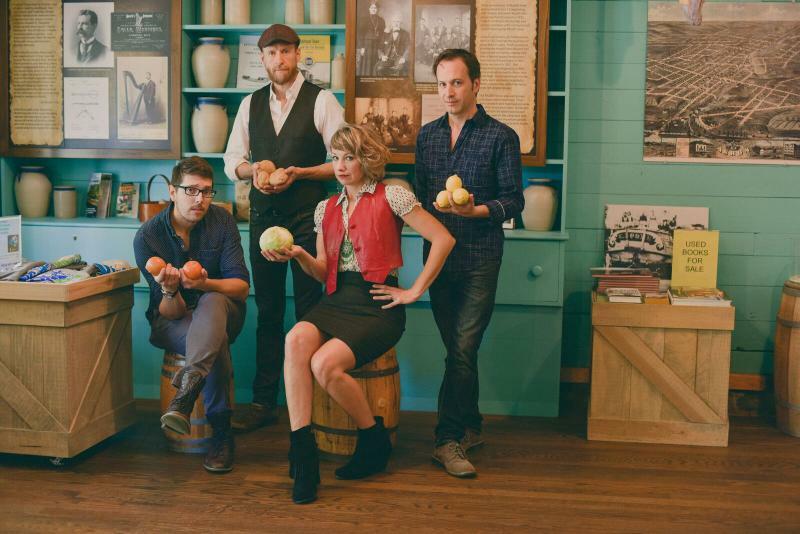 Indie rockers Stems has described its sound as “future past,” or what one would hear on an oldies station decades from now. Or, perhaps, if they hopped in a DeLorean back in the 1980s and imagined what they perceived music of the 2000s to sound like. 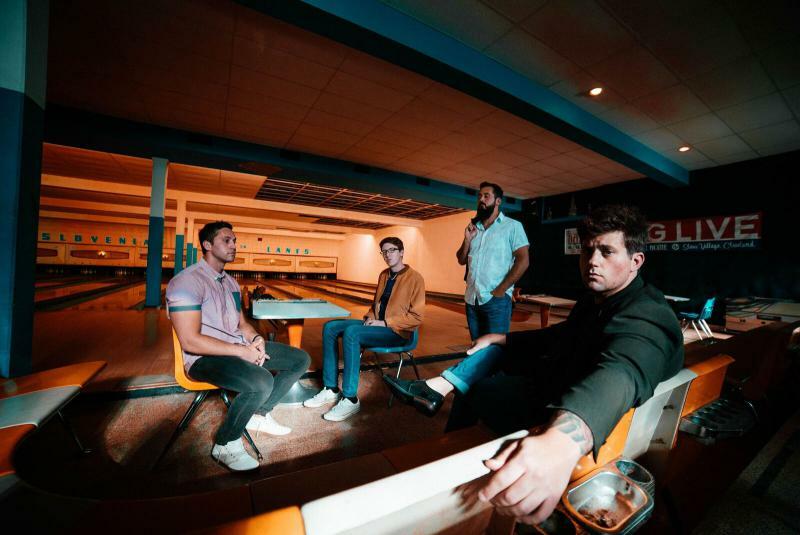 It’s fitting, then, that members Justin Seeker, Joshua Weiss, Michael Voris and Joel McAdams decided to debut their new release, "Your Sullen Ways are Getting Boring", on cassette tape. Four-piece rock outfit Ottawa has kept busy the last five years making memorable tunes with an appeal far beyond its Cleveland home. Over the summer, the band released a string of singles that blend gritty garage rock with pop melodies. They've been making the rounds across Northeast Ohio venues to debut the new material. 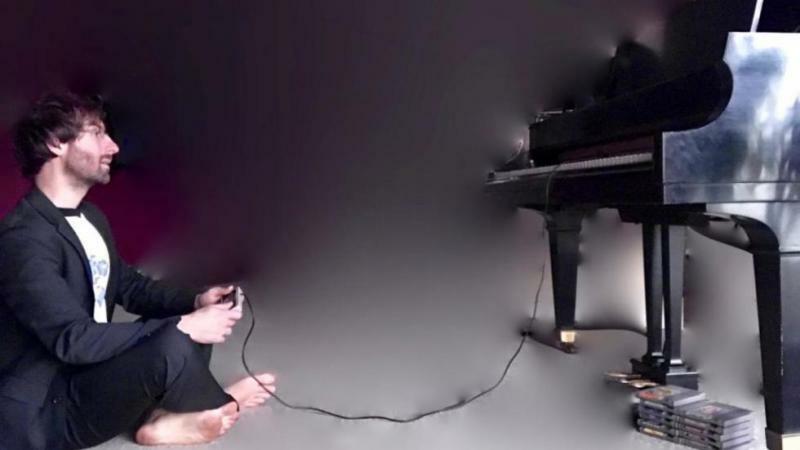 A classically trained Cleveland pianist is creating masterpieces out of classic video game music. Rob Kovacs is a composer and piano teacher who grew up a gamer in the 1980s. In addition to starting piano lessons when he was around 6 years old, his family had about 10 classic arcade games throughout their home. He evenutally got Atari and Nintendo consoles.